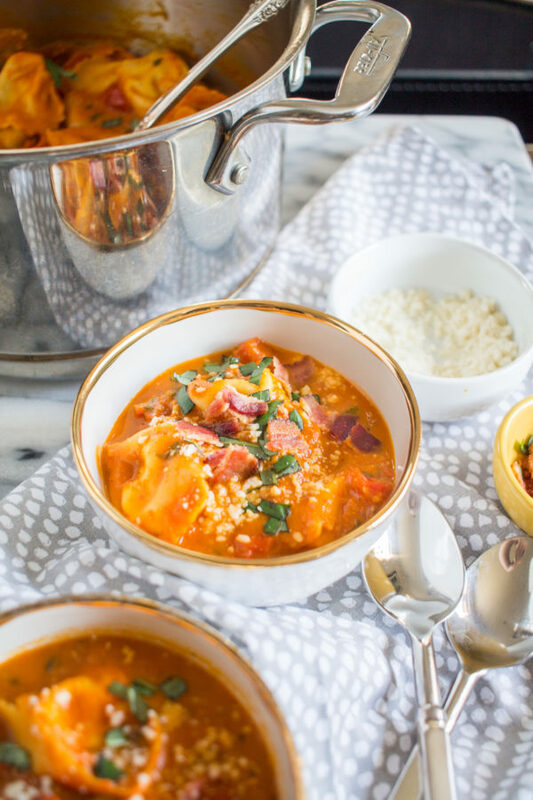 Today I am sharing the easy weeknight dinner recipes that I rely on to get dinner to the table without much fuss or time commitment. Sadly, summer is over, the days are getting shorter, and we are back to our routine. Even though we don’t have kids and hectic school schedules to juggle, Fall is always so busy! 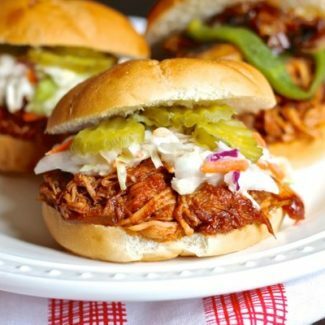 These are my go-to weeknight dinner recipes this time of year. 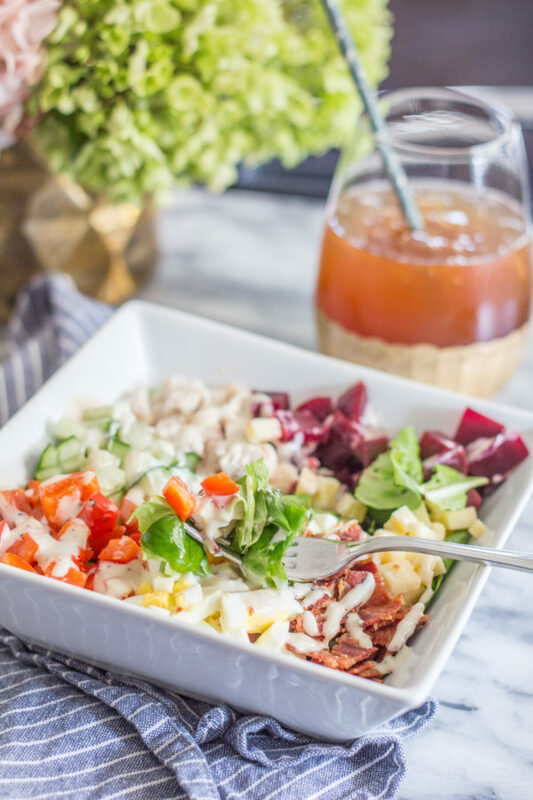 I recreated my favorite restaurant salad with this recipe for The Allis Chopped Salad. This salad has roasted chicken, cucumber, beets, hard boiled egg, bell pepper, cheddar cheese, and bacon over greens. If you use rotisserie or leftover chicken and store-bought steamed beets you can prepare this salad in just 15 minutes. 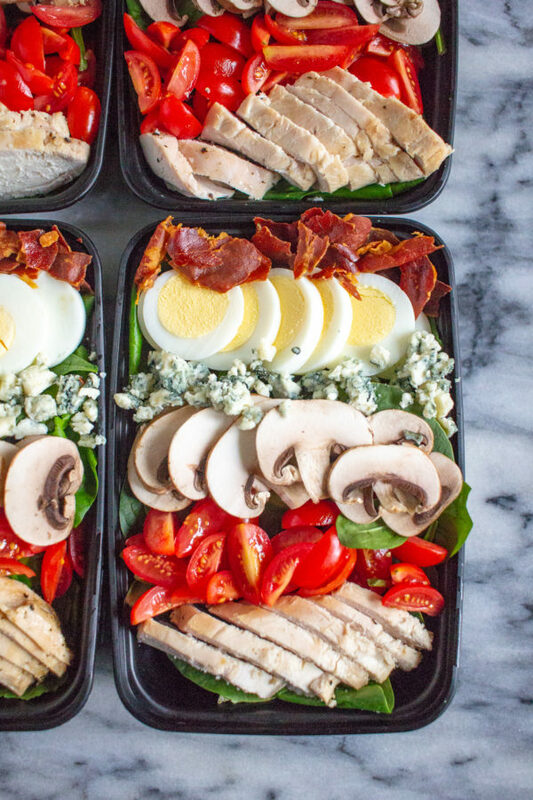 This spinach salad is loaded with protein thanks to the roasted chicken and hard boiled egg, and it tastes great with blue cheese, ranch, or roasted garlic dressing. 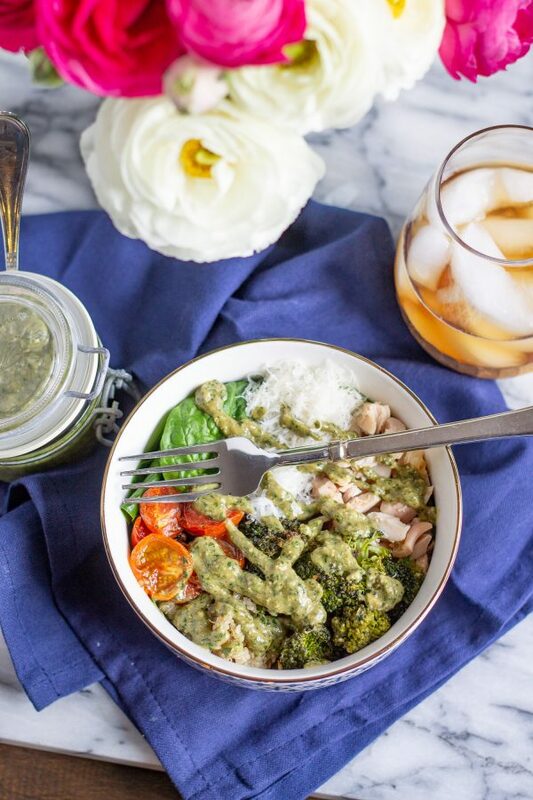 This salad with roasted tomatoes, roasted broccoli, chicken, spinach, parmesan, and pesto is a delicious way to load up on veggies. 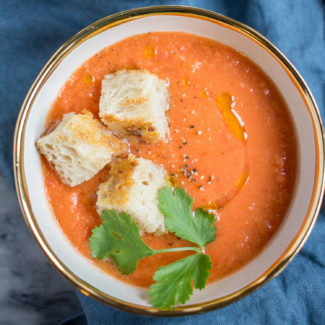 Adding tortellini to roasted tomato soup makes it so much better- it tastes a bit like grilled cheese. And if you want, you can add some bacon on top. 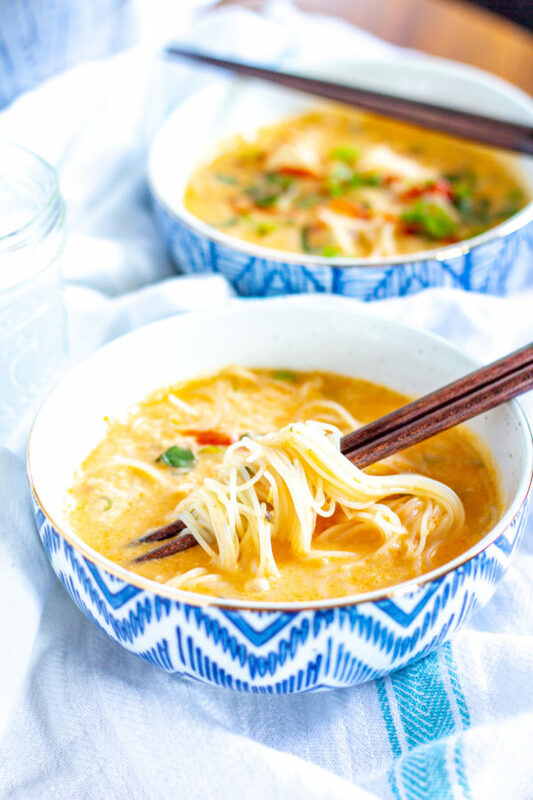 This dairy-free soup is made with creamy coconut milk, spicy red curry paste, diced chicken, and rice stick noodles. 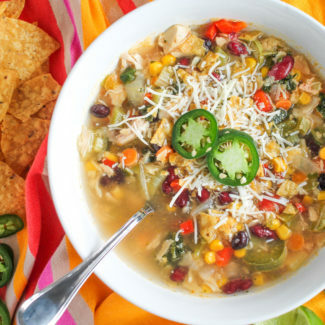 Its spicy flavor will warm you up on a chilly night. 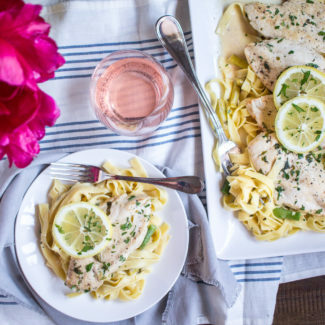 This 30 minute recipe is one of the best weeknight dinner recipes. 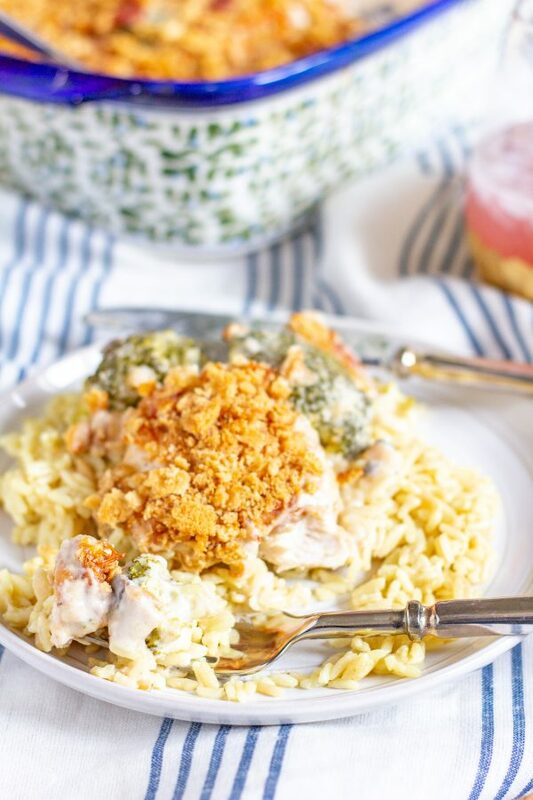 This chicken casserole has mushrooms and broccoli in a creamy cheesy sauce topped with crunchy cracker crumbs and bacon. Did you know that you can make risotto in just 25 minutes? 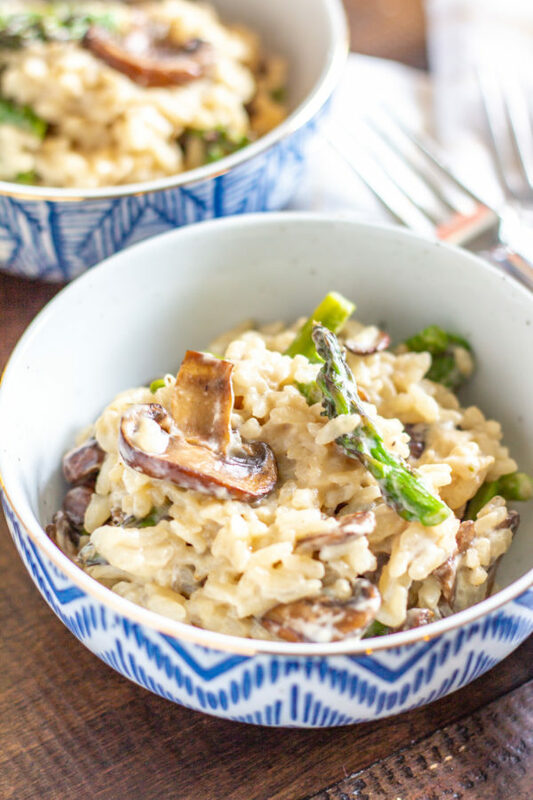 I broke down how to make risotto – and you can add in any cheese and veggies that you like. 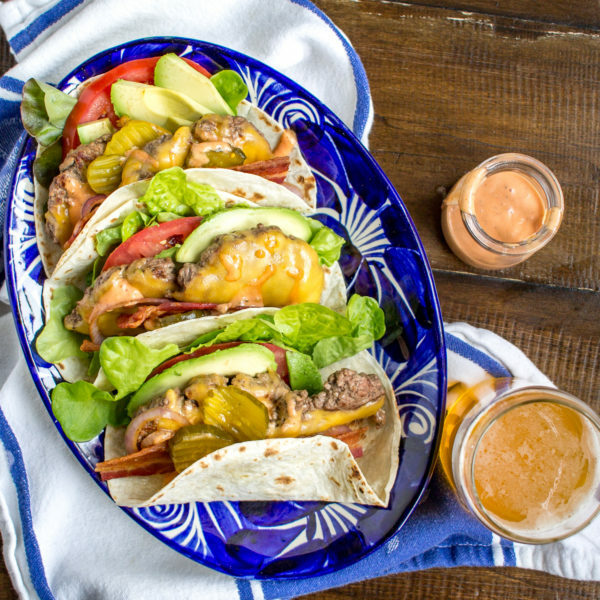 This is a fun twist on burger night – when you turn burgers into tacos you can add more toppings. Roasting a chicken is easier than you might think. 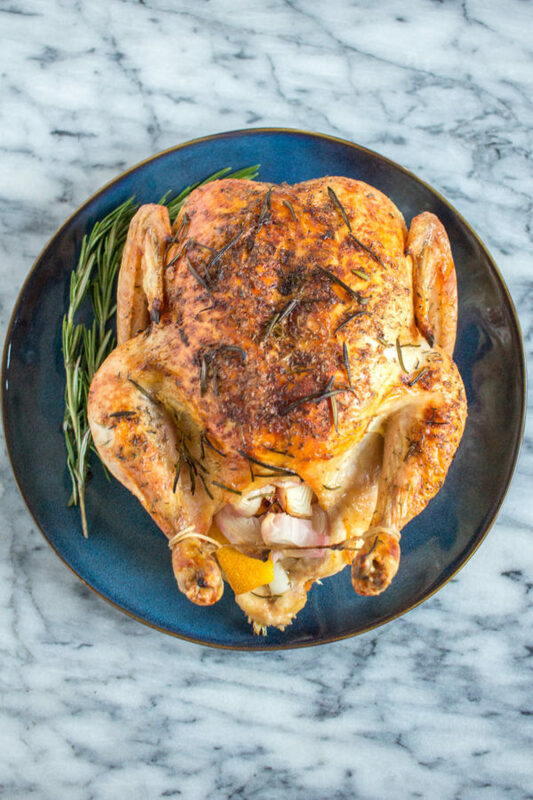 It takes just a couple minutes of preparation time, and making roast chicken is a great way to prepare a lot of food. I like to roast two chickens at once and then use the leftover chicken for more meals throughout the week. 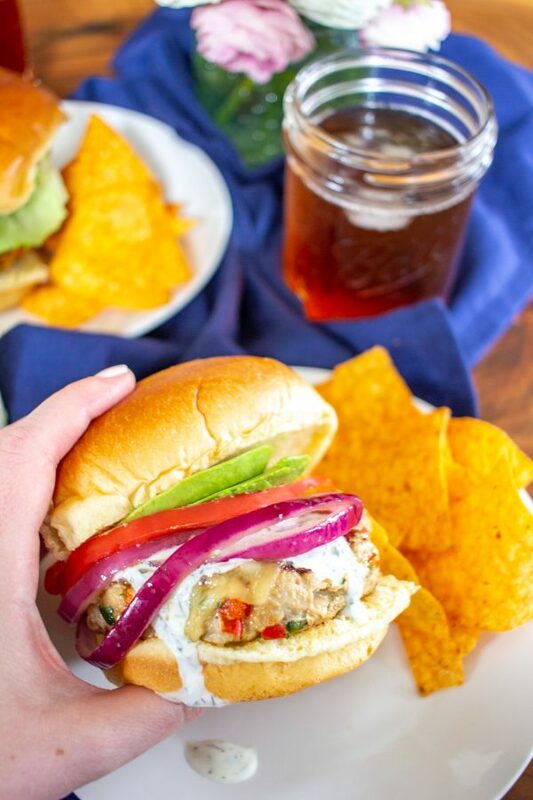 Or for a healthier twist on a burger try these turkey burgers made with onion, poblano peppers, bell peppers, and spices topped with cheese, ranch, grilled red peppers, tomatoes, and avocado. 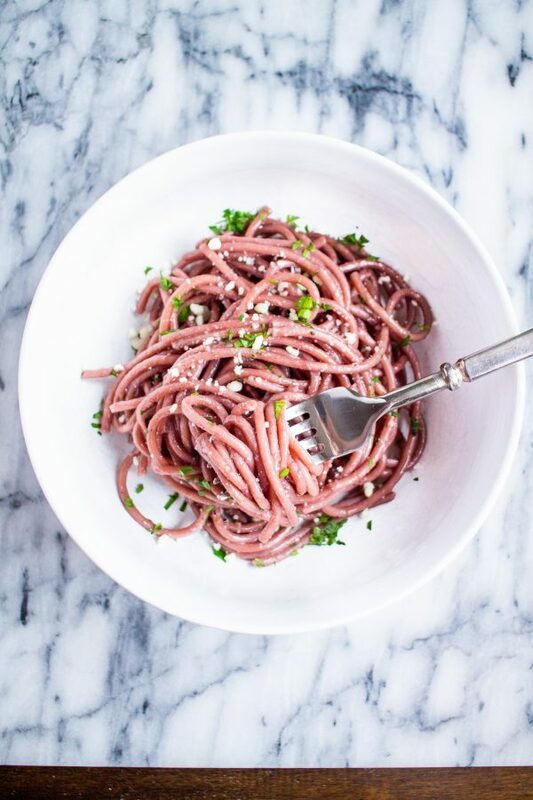 Classic cacio e pepe gets even more fun when you cook the pasta in red wine. And how pretty does it look?! 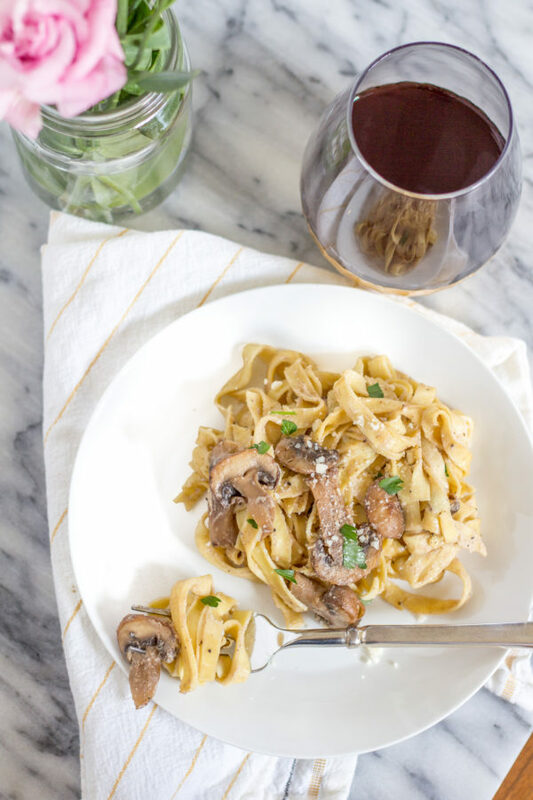 This meal comes together in just 15 minutes and is perfect for people who love wine and cheese. 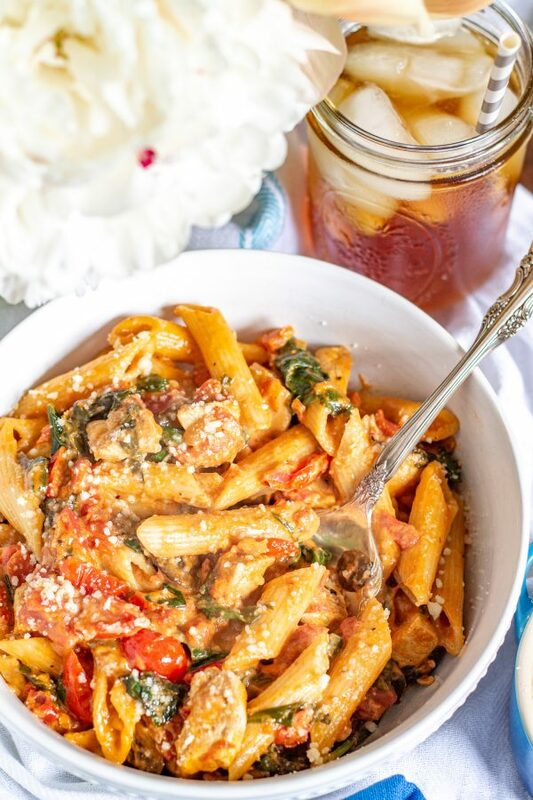 This meal brings together tender chicken, mushrooms, and spinach with penne in a creamy tomato sauce. 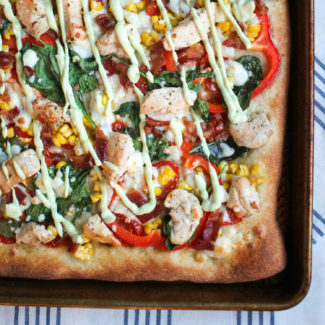 You can get dinner to the table in just 10 minutes with this recipe. The trick is to use fresh pasta and to cook it right in the sauce. 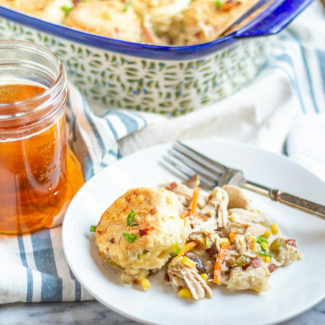 My Mom used to make this super quick and easy dinner all the time when I was growing up and it is one of my favorite weeknight dinner recipes. 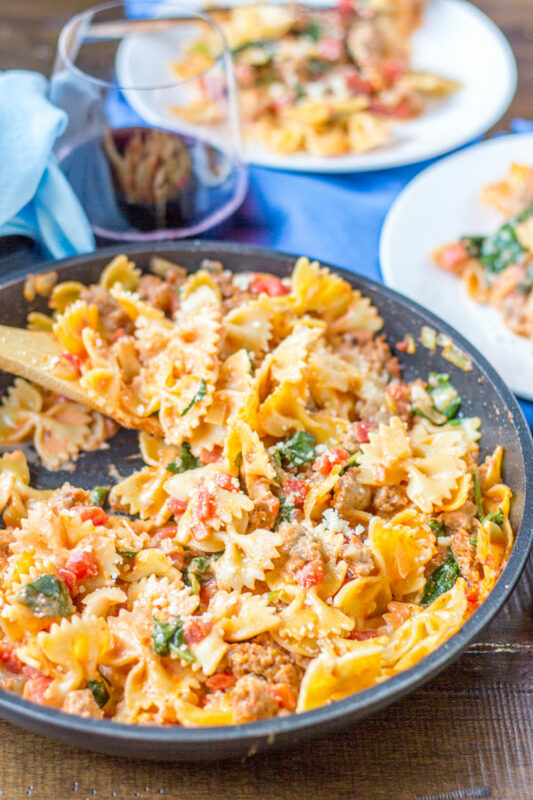 Spicy Italian Sausage is crumbled up and cooked in a creamy tomato sauce with spinach. 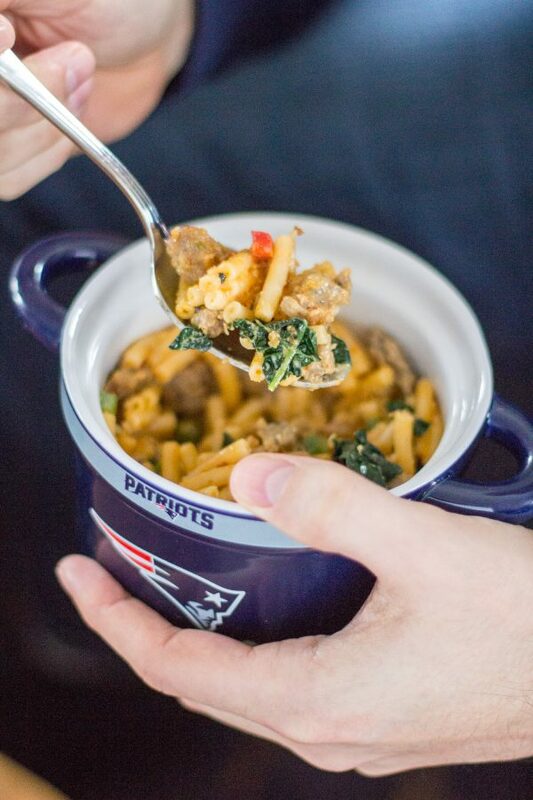 Turn boxed macaroni and cheese into a complete meal by adding crumbed Italian sausage, peppers, and kale. 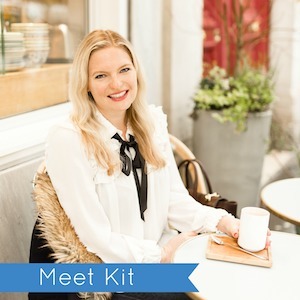 This 15 minute recipe is one that I have used again and again.